After the successful release on ENOUGH! MUSIC 010. with Daniel Dreier. 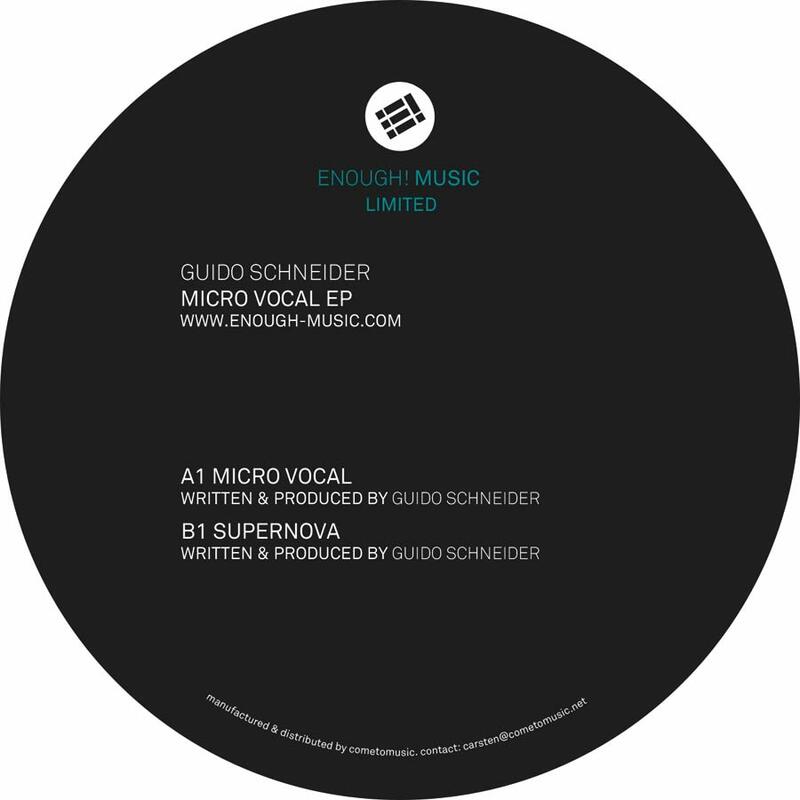 Guido Schneider is back and presents his new solo project – “Micro Vocal EP” on ENOUGH! MUSIC LTD. Two very detailed and subtle tracks with the name “Micro Vocal” and “Supernova” let us hear his musical passion. which has been his passion since the 90’s. This lightness in „Micro Vocal“ and its driving groove are Guido’s unique handwriting, it makes you almost mesmerized and hypnotized. Vocal snippets, a grooving bassline, playful sounds and a hypnotic atmosphere are the ingredients of this track. With the track “Super Nova” Guido banishes us into a mercilessly brilliant monotony of an endless loop. Consistently from beginning to end, the listener is driven by a pulsating groove. In the moment of physical and mental hostage Guido succeeds in splitting the synapses with insistently trained melodies. Space and time become one. A mesmerizing journey of a very special kind.